Norovirus, also known as the winter vomiting bug, has taken it’s toll amounts young children at a primary school in East Anglia, according to a report on the East Anglian Daily Times website, which highlights the need for effective hand washing. The article by Andrew Hirst tells that parents have been advised to keep children from Leiston Primary School at home, after six children contracted the illness, following an initial thirteen who fell ill before Christmas. Washing with soap and water is essential in order to keep norovirus under control. After a recent outbreak at West Suffolk Hospital, West Suffolk NHS Foundation Trust’s chief nurse Rowan Procter categorically stated that this was the only suitable hand hygiene process for visitors to the facility, as hand gels are ineffective against the bug. The Daily Times article quotes NHS advice for reducing levels of norovirus cross-infection. 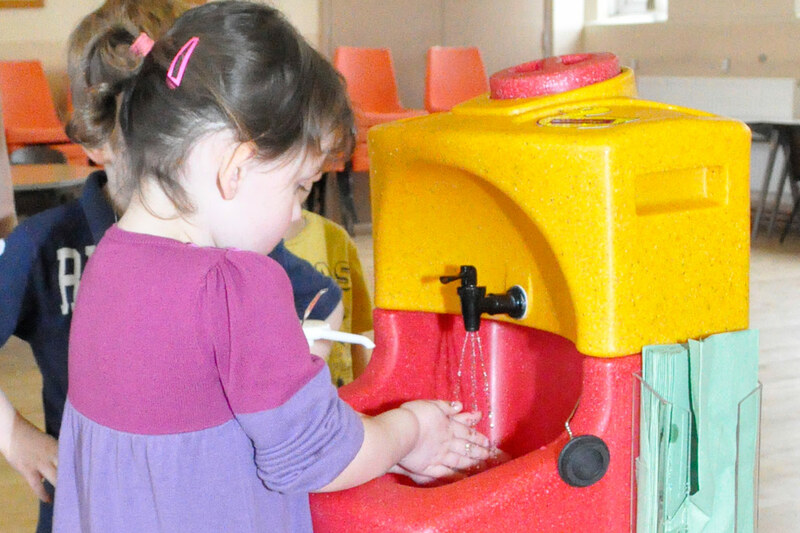 Teach hand washing – indoors and out! Hand washing is the most important lesson a child can learn and acquiring it is an essential lifelong skill.